Woodwork enthusiasts of all levels are catered for in a fully equipped studio where the emphasis is on learning traditional skills within a well equipped modern workshop. Led by owner and principal instructor Stuart Faulkner, the talented team at Heartwood Creative Woodworking have a broad range of professional skills and experience including furniture design, cabinet making, finishing and restoration, and teaching appointments in some of Australia and New Zealand's premier Wood Schools. Located in the heart of Sydney’s Inner West, the workshop boasts a full range of Felder machines inside the dedicated static machine room. The layout of the workshop provides teachers with line of sight supervision from the benchroom. My school is all about accessing making and encouraging people to progress in their aspirations as designer/makers. Studio Woodworkers Australia, a national organisation dedicated to promoting and supporting professional furniture designers and makers working in wood, is delighted to announce a unique sponsorship deal with Felder Group Australia. The two-year agreement will see Studio Woodworkers Australia (SWA) and Felder Group Australia strengthen the affinity that already exists between furniture, and machinery makers in Australia, and includes an undisclosed financial sum. Phoebe Everill, SWA president and furniture maker, welcomed the milestone sponsorship deal, as ‘an exciting step forward for the SWA and Felder-Group Australia’. Stefan Kremer, managing director Felder Group Australia, said the deal is ‘a natural marriage between the top of the range machinery manufacturer, and the top of the range makers and designers’. ‘It absolutely makes sense that the people manufacturing the best machines should be supporting the people with the best skills and ability to use them properly,’ Mr. Kremer said. Studio Woodworkers Australia was established in 2007 to promote the work of some of Australia’s most acclaimed makers and designers in wood, including Tony Conway, Leon Sadubin, David Upfill Brown (pictured above) and Neil Erasmus, many of whom already use Felder Group Australia’s machines. As part of the sponsorship package, makers will give demonstrations on Felder Australia machinery at wood shows and exhibitions nationally. Pam and Neil's work includes one-off commissions, limited edition production runs and exhibition works. In addition to their busy schedule completing commissions and orders, both Neil and Pam teach at the School of Wood, Dwellingup; Pam delivers the "Introductory Woodcraft for Women" module while Neil teaches the Ergonomics or chair design unit to the final year students. They also conduct several set project courses and offer one-to-one training at their studio. 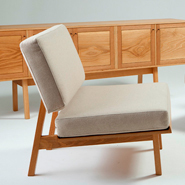 Neil also teaches interstate and in 2002 will deliver a chair and table module to the final year students at the Australian School of Fine Furniture in Tasmania. Neil and Pam Erasmus are professional furniture designer/makers, who work from their studio in the forested hills area of PICKERING BROOK in PERTH, WESTERN AUSTRALIA. Create your own Master Piece with us! After much pressure from past participants, Just Joints classes are ready to resume. This time, ESCA will run two, five session classes, one on alternate Tuesdays and the other on alternate Saturdays. Tuesday night classes will continue with previous students with more advanced joints, while Saturday classes will be for Just Joints beginners. 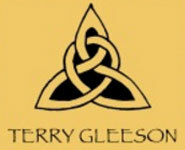 Terry has been operating his school at his workshop since 2003. He offers expert tuition as a professional cabinetmaker with over 30 years experience. The workshop equipment includes a Felder K7 panel saw with outrigger, 500mm thicknesser, 200mm jointer, 500mm Centuro band saw, mortising machine, stroke sander, linisher, Woodfast lath, router table, professional cabinetmakers benches and a wide selection of quality hand tools. Come and enjoy yourself in groups of up to 4 students, in the beautiful semi-rural district of Sydney’s North-west. Enjoy learning the skills of woodcarving & sculpture from Grant Vaughan, a wood artist with over 30 years experience. The classes are held in Grant’s studio, situated on 85 acres of tranquil bushland 15kms north west of Lismore, North Coast NSW. Grant’s personal tuition in small classes and well prepared projects will ensure you enjoy a memorable and unique creative experience. You will learn the processes to create a new piece from initial concept through to the final product. Each participant is supplied with the timber to carve a sculptural piece to a set design which has a similar aesthetic to Grant’s own work. Grant’s work is in many public and private collections including the Powerhouse Museum and Parliament House, Canberra. Since exhibiting his carved forms at SOFA Chicago in 2000 Grant’s work has been acquired by the Boston Museum of Fine Art, Cincinnati Art Museum, The Detroit Institute of Arts, National Gallery of Australia and numerous private collectors both in Australia and internationally. This year’s WorldSkills Australia competition has yet again been a big success with Felder Australia being one of the major sponsors. Team Felder Russia also presented their skills here in Australia as the next big WorldSkills will be in Russia.